Give your sporty-chic ensemble a glam update with the Superga 2750 Lizardchromw Sneaker. Textile and synthetic upper. Lace-up design. Round toe. Signature logo accents. Textile lining. Cushioned footbed. Vulcanized rubber sole. Imported. Measurements: Weight: 13.6 oz Product measurements were taken using size 39.5 (US Women~s 8.5), width Medium. Please note that measurements may vary by size. Weight of footwear is based on a single item, not a pair. 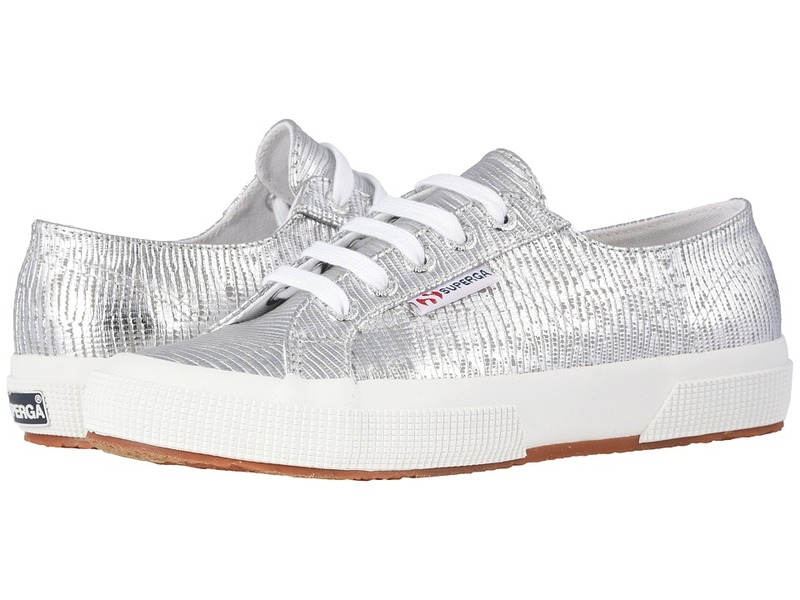 The Superga 2750 Microsequinw Sneaker is the shimmering shoe of your dreams. Sequin embellished cotton canvas upper. Lace-up closure with metal eyelets for an adjustable fit. Signature round-toe Superga silhouette. Iconic side branding tag. Soft textile lining ensures an abrasion-free environment for all-day wear. Cushioned footbed provides sustained comfort for all-day wear. Natural rubber outsole offers traction and durability. Machine wash, air dry. Imported. Measurements: Weight: 14 oz Product measurements were taken using size 38 (US Women~s 7.5), width Medium. Please note that measurements may vary by size. Weight of footwear is based on a single item, not a pair. Step into sporty seasonal style with the Superga 2750 Cotw 3 Stripe Sneaker. Textile upper. Lace-up closure. Round-toe silhouette. Multi-color pastel accented midsole. Signature logo accents. Textile lining. Cushioned footbed. Vulcanized rubber sole. Imported. Measurements: Weight: 13 oz Product measurements were taken using size 39 (US Women~s 8), width Medium. Please note that measurements may vary by size. Weight of footwear is based on a single item, not a pair. Searching for a tried-and-true wardrobe essential? Step into signature style with Superga 2750 Rasocamow Sneaker. Sturdy cotton unlined canvas upper. Lace-up closure with metal eyelets for an adjustable fit. Signature round-toe Superga silhouette. Iconic side branding tag. Soft textile lining ensures an abrasion-free environment for all-day wear. Cushioned, non-removable footbed provides sustained comfort. Natural rubber, crepe-textured outsole offers traction and durability. Imported. Measurements: Weight: 15 oz Product measurements were taken using size 41.5 (US Women~s 10), width Medium. Please note that measurements may vary by size. Weight of footwear is based on a single item, not a pair. 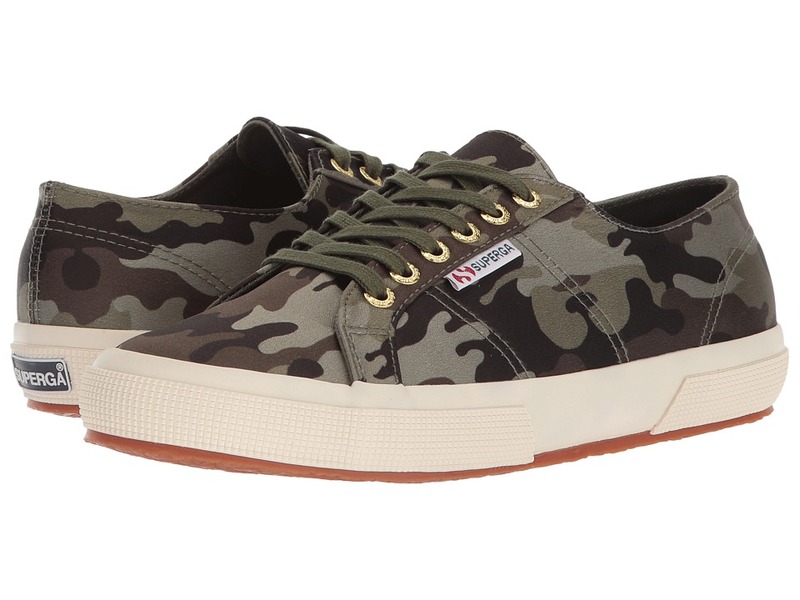 Elevate your fun look with the Superga 2790 Cot 14 Colorsfoxingw Platform Sneaker! Sturdy cotton unlined canvas upper. Lace-up closure with metal eyelets for an adjustable fit. Signature round-toe Superga silhouette. Iconic side branding tag. Soft textile lining ensures an abrasion-free environment for all-day wear. Brightly striped, multi-colored platform midsole. Cushioned, non-removable footbed provides sustained comfort. Natural rubber, crepe-textured outsole offers traction and durability. Imported. Measurements: Weight: 1 lb 3 oz Product measurements were taken using size 39.5 (US Women~s 8.5), width Medium. Please note that measurements may vary by size. Weight of footwear is based on a single item, not a pair. Searching for a tried-and-true wardrobe essential? 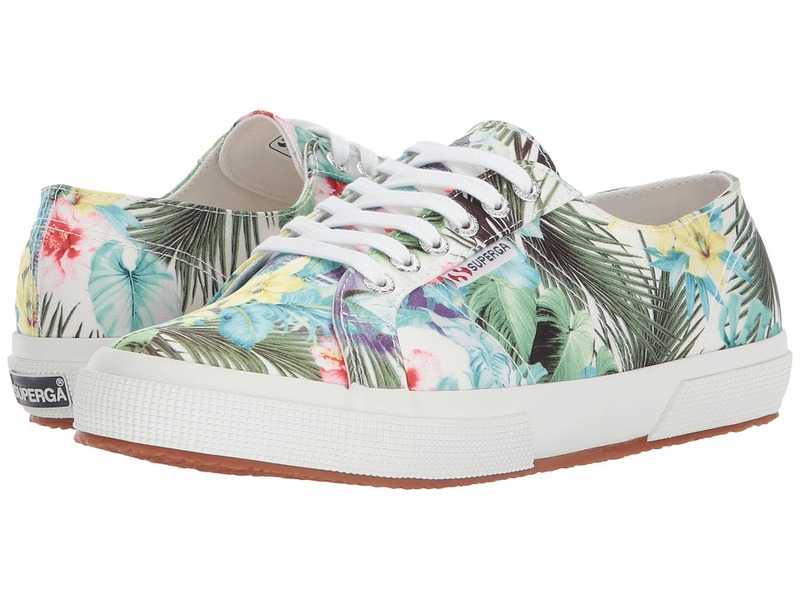 Step into signature style with Superga 2750 Rasotropicalw Sneaker. 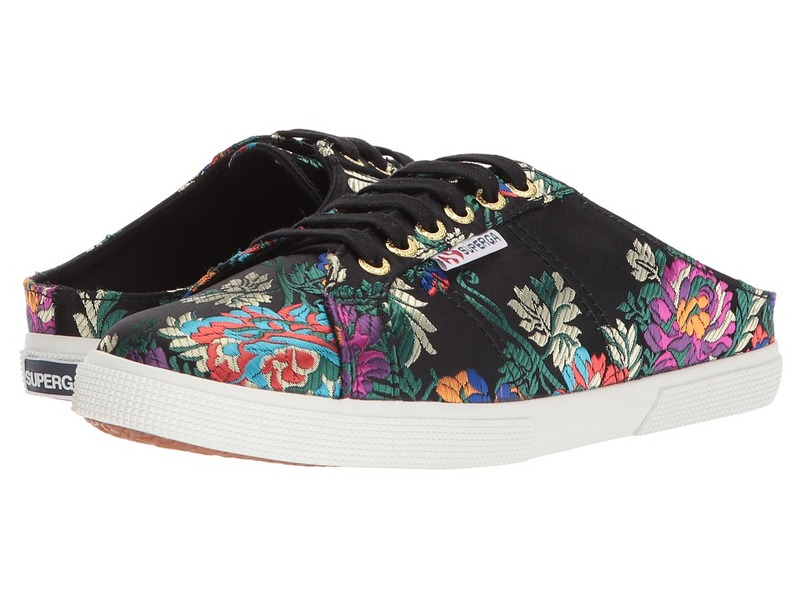 Sturdy cotton canvas upper with tropical print. Lace-up closure with metal eyelets for an adjustable fit. Signature round-toe Superga silhouette. Iconic side branding tag. Soft textile lining ensures an abrasion-free environment for all-day wear. Cushioned, non-removable footbed provides sustained comfort. Natural rubber, crepe-textured outsole offers traction and durability. Imported. Measurements: Weight: 15 oz Product measurements were taken using size 41.5 (US Women~s 10), width Medium. Please note that measurements may vary by size. Weight of footwear is based on a single item, not a pair. 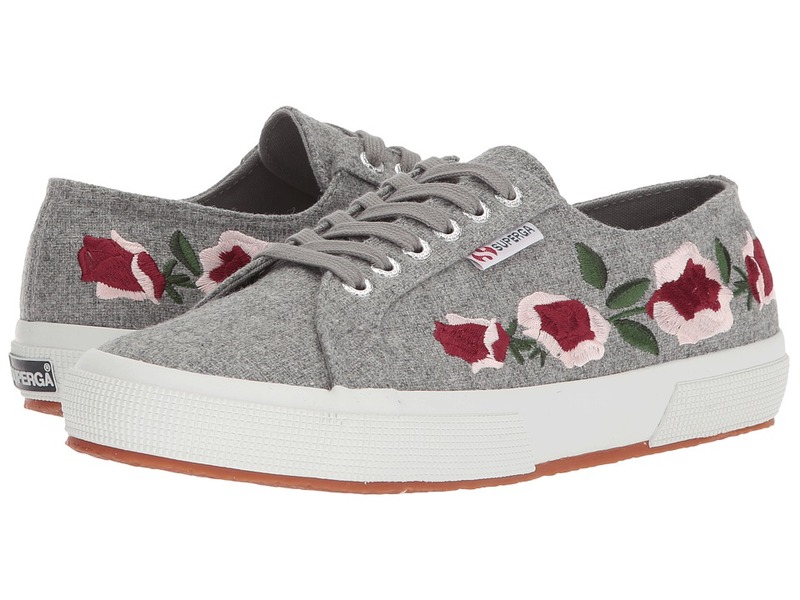 The Superga 2750 COTU Embwoolw is your go-to cozy and casual shoe of the season. Wool blend upper with embroidery embellishment. Lace-up sneaker. Classic round-toe silhouette. Cushioned footbed provides sustained comfort for all-day wear. Natural rubber outsole offers traction and durability. Spot clean only. Imported. Measurements: Weight: 15 oz Product measurements were taken using size 41.5 (US Women~s 10), width Medium. Please note that measurements may vary by size. Weight of footwear is based on a single item, not a pair. Orient an eye-catching ensemble with the Superga 2288 Korelaw sneaker. Embroidered textile upper. Slip-on construction with adjustable laces. Signature round-toe Superga silhouette. Iconic side branding tag. Soft textile lining ensures an abrasion-free environment for all-day wear. Cushioned, non-removable footbed provides sustained comfort. Natural rubber, crepe-textured outsole offers traction and durability. Imported. Measurements: Weight: 12 oz Product measurements were taken using size 41.5 (US Women~s 10), width Medium. Please note that measurements may vary by size. Weight of footwear is based on a single item, not a pair. From tailored to tie-dye, make it sleek and chic with the Superga 2388 COTW Slip-on Sneaker! Sturdy cotton unlined canvas upper. Slip-on construction with inset goring for optimal fit. Signature round-toe Superga silhouette. Iconic side branding tag. Soft textile lining ensures an abrasion-free environment for all-day wear. Cushioned footbed provides sustained comfort for all-day wear. Patterned rubber outsole offers traction and durability. Machine wash, air dry. Imported. Measurements: Weight: 9 oz Product measurements were taken using size 38 (US Women~s 7.5), width Medium. Please note that measurements may vary by size. Weight of footwear is based on a single item, not a pair.